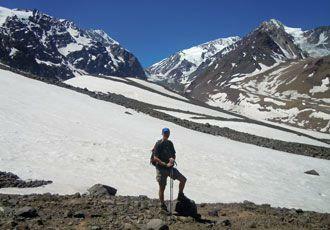 This is an eight-hour walk there and back, but the views are so rewarding that it is well worth the effort. 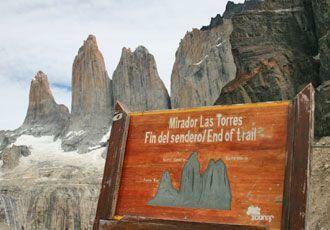 The mirador (lookout point) for the Towers of Paine is at 900m/2,952ft. This is a great place to take fantastic photos of these dramatic peaks. Take a walk in the wilderness. 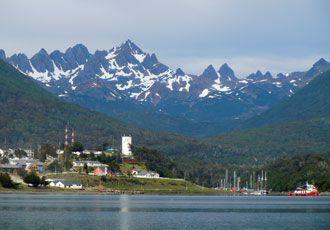 It is a 40 minute crossing from Ushuaia to reach the southern-most end of Chile, Navarino Island. The mountain range of Dientes de Navarino forms the back bone of the island. The snout of the glacier always has huge chunks of ice calving into the lake and if you are lucky you will witness the sight and sound of this amazing natural phenomenon. 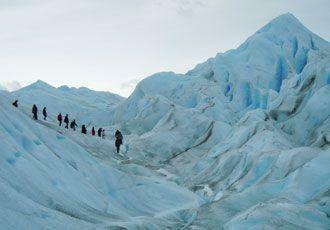 Your guide will be able to tell you all about the formation of the glacier as you walk along the shores of the lake. There will be ample time to enjoy the stunning views of the 60 foot high face of the glacier and undoubtedly, take numerous photographs. Browse some of our favourite experiences in Patagonia, and add any that take your fancy to your wish list. 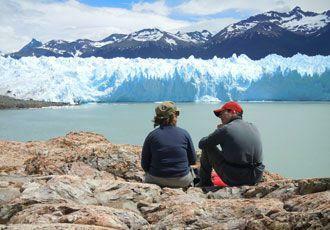 You can take a short ice trek on the top of the immense Perito Moreno glacier. The trek will include a boat trip taking you up close to the impressive glacier face where you may see ice calving away into the waters. Before you begin your ice trek, you will be fitted with crampons and given full instructions. You don't need any technical experience or specialist footwear and, at the end of your walk you can enjoy a tipple 'on the rocks'. Cheers! Head ‘downtown’ to the Mercado Central, the bustling colourful market. Walk to the Plaza de Armas, Santiago’s main square surrounded by some of Chile’s finest architecture, then take in the views from the hilltop Cerro Santa Lucía – where Pedro Valdivia first founded Santiago in 1541. 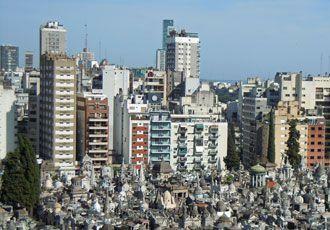 Break your journey with a night or two in Buenos Aires. You can reach Patagonia by flying via Buenos Aires so why not break your journey with a stay in this cosmopolitan city. 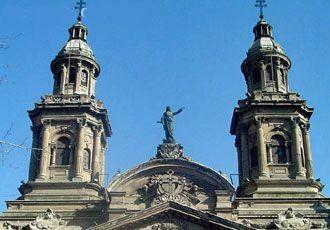 Take a guided tour to see the main attractions including: the Obelisk; squares such as Plaza de Mayo, Plaza San Martin, Plaza Alvear; famous avenues including Avenida de Mayo, Corrientes and 9 de Julio; the historic neighbourhoods of La Boca and Telmo; the sombre cemetery at Recoleta where Eva Peron is interred; and the old port area. There's also plenty of shopping to do in the markets or in boutiques and you could finish your evening watching a tango. 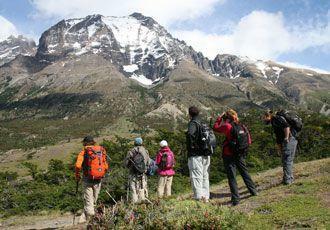 This is a superb, fully supported camping trek, covering the complete circuit of the Torres del Paine. The paths are good and there is a well-developed infrastructure in the park with well-maintained campsites (most with showers and toilets) refugios and small stores for buying drinks and snacks. All camping equipment and your personal luggage will be carried for you, by a mixture of horse, boat and vehicle, as appropriate. All you will need to carry on your trek is your day sack. Take the trail along the shores of Lago Pehoe. 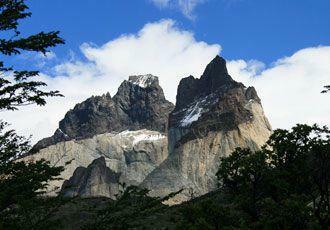 Admire its turquoise waters, and enjoy dramatic views of the Cuernos (horns) of Paine. Take a short trail to the Mylodon cave in Chilean Patagonia, a huge cavern where remains of a prehistoric Mylodon (giant sloth) were found. 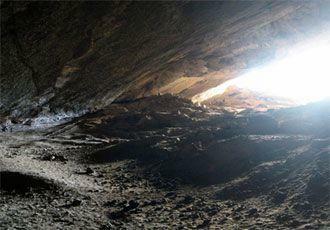 The network of caves were home to other prehistoric creatures and some of the caves were inhabited by humans 11,000 years ago.